Up until last week, "One Direction Infection," a Tumblr blog created and maintained by an eighth grader we'll call Claire, looked like any other 14-year-old's Tumblr: a bright pink background, a default font that resembles cute handwriting, an embedded MP3 player playing Daddy Yankee and Jesse McCartney, and scores of photographs and animated GIFs of the members of One Direction, Britain's biggest boy band. It still looks like that, mostly—same background, same font, same Justin Timberlake song on the music player—but over the weekend Claire's subject matter took a sharp turn. 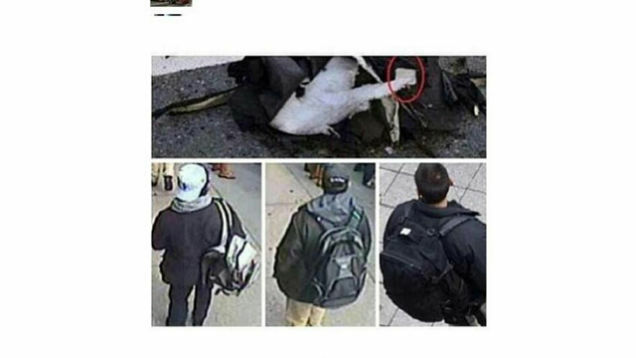 In place of candid shots of Harry Styles and Zayn Malik, there are now photos of accused Boston Marathon bomber Dzhokhar Tsarnaev; instead of inspirational image macros, there are annotated crime scene photos. 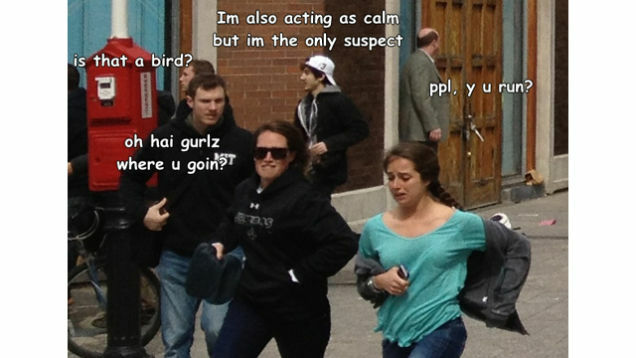 The precocious, self-concious tone remains, and when you visit your browser still reads "One Direction Infection," but the blog has a new URL: http://free-jahar.tumblr.com. "Jahar" is what Dzhokhar Tsarnaev's friends and Twitter followers call him, and #FreeJahar is the hashtag banner around which thousands of people have rallied on Twitter, Tumblr and Facebook to closely follow Tsarnaev's case and share what they believe to be evidence of his innocence. I tracked Claire down (through her One Direction fan fiction page) and, over Twitter direct messages, asked her about her Tumblr. "I do believe he is very cute, but that’s not the reason I am personally involved in this movement," she emailed me back. "I am in this because I don’t believe its right to put a totally innocent person in jail for the rest of his/her life or even death penalty. I don’t care who it is, it just isn’t fair." 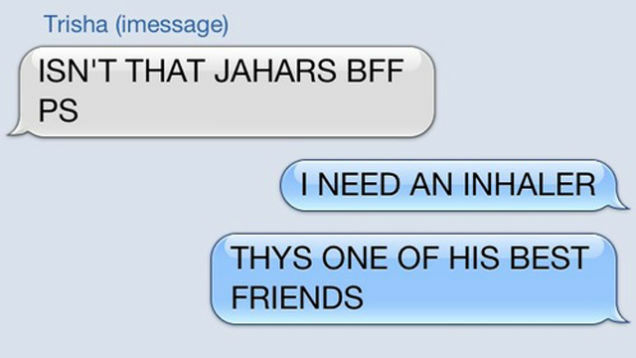 Like the "Holmies" and "Columbiners" devoted to the Aurora, Colo. and Columbine High School shoters, respectively, #FreeJahar has its roots in "fandom" culture—those devoted communities of admirers, usually young women, that organize themselves on sites like Tumblr, exchanging photographs, fan art and writing, and expressions of "the feels," a near-undefinable flood of emotion and desire. (Rachel Monroe wrote a fantastic essay on the topic last year.) 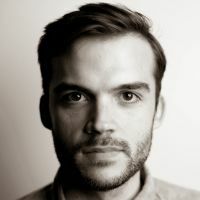 But it's been combined with the conspiratorial rhetoric of sites like Infowars or Natural News, and informed by viral "issue" campaigns like Kony 2012. The result is a strange hybrid phenomenon—part conspiracy-mongering, part gushing fandom, part political movement, part self-promotional tool, structured by social media, populated almost entirely by teenagers and stubbornly resistant to argument. A lot of time is dedicated to responding to detractors and haters, who anonymously contact authors through Tumblr's "Ask" function. (This is fairly common on Tumblr, though haters are more frequent with the #FreeJahar crowd.) In one lengthy post, a blogger responded to a hypothetical detractor in the most Tumblr way possible: with a long string of GIFs. It's difficult to tell exactly how many people believe in Tsarnaev's innocence. It's certainly a bigger community than the Holmies: On Tumblr, there are a dozen or so dedicated #FreeJahar blogs, and scores of allies and sympathizers who "like" and "reblog" their posts. (It's hard not to notice how many of the sympathizers run their own One Direction fan blogs.) 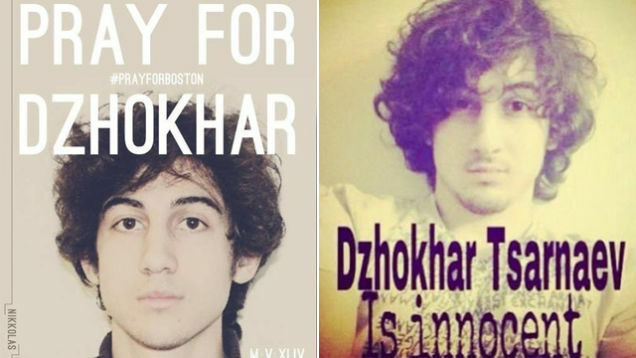 On Twitter, Tsarnaev's friends, many of whom have re-organized their social media presences around #FreeJahar, have gained thousands of followers; on Facebook, thousands of people "like" pro-Tsarnaev fan pages. It can also be hard to get a handle on the exact position being taken in the Tumblrs I looked at. Some blogs absolutely assert his innocence and lean the on the conspiracy theories that have been floating around the web; others seem more concerned with ensuring that he's treated humanely. Some just think he's cute. Some adopt several different positions within the course of a few posts. For the most part, the organizing principle is just "Jahar"—the mop-top stoner with the charming Twitter account—and the feels he induces. Yes, jahar is very cute, but that's not why im supporting him.Im supporting him because there isn't enough evidence that he's guilty. Aware of the mocking (and sometimes shocked) coverage of "Holmies," the James Holmes fandom that emerged in the wake of the shooting last year, #FreeJahar regulars are self-conscious about the fangirl label. (With the exception of Claire, every blogger I contacted refused to answer questions, or didn't respond to requests for comment.) Claire doesn't even think #FreeJahar is a fandom. "TV/Music fandoms are more into how a person looks or how well they sing/act," she explains, while #FreeJahar "is something more serious and more in-depth than that. It also helps solves 'political' acts where as a fandom does nothing like that." Rather than structure themselves around a communal identity, like "Holmies" or "Columbiners," #FreeJahar adherents convoke around a hashtag—like #Kony2012. In other words: it's not a fandom, it's a movement. And as a movement, it needs convictions. Where in the case of the shooting in Aurora, the conspiracy theorists (and there were many) and the Holmies largely kept to their own corners of the web, #FreeJahar is a marriage of the two. It may draw heavily on fandom culture, but it relies just as much on the skepticism and paranoia of sites like Prison Planet and Godlike Productions, not to mention their rhetorical techniques—the annotated images, the dramatically narrated YouTube videos, the willingness to embrace even mutually contradictory pieces of evidence. The only thing surprising about the collision of the worlds of conspiracy and fandom is that it's taken this long to happen. They're both mostly populated with teenagers and 20somethings. Young people like Claire (and like Tamerlan Tsarnaev) drive an enormous online conspiracy economy; they're the ones speculating about which rap stars are Illuminati members on message boards and creating and sharing dramatic YouTube videos that end up with 13 million views. Claire told me the Sandy Hook Elementary shootings were her entry into the world of conspiracies: "I thought it was a big tragedy until I watched a video of the conspiracy being explained and ever since I have strong feelings about it being staged." Crossley, like the Bieber hangers-on whose retweets can garner the same enthusiastic reaction, is doing his best to work the pro-Tsarnaev enthusiasm for all it's worth. "Like my Facebook music page," he encourages his Twitter followers; all his social media accounts link to his rap mixtape. (Crossley didn't respond to repeated requests for comment.) He's pulled together 14,000 Twitter followers and 5,000 Facebook likes. Almost 100,000 people have listened to his tape. If you take him at face value, Crossley understands #FreeJahar as a movement in support of the teenager he says was his friend. But he also sees its value as a promotional tool. "I understand everyone wants a role in #FreeJahar I have made 2 branches one called Youtube Team an another called Promoting/Marketing Team," he wrote on Facebook last night, in between sharing conspiracy videos and Tsarnaev-themed inspirational image macros. ("Marketing"... what, Troy?) The hashtag he's been using to spread the gospel is #TroyCrossleyTruth. #FreeJahar is great way get more followers on social media. Even Claire knows this. "My first intentions of starting a Tumblr was to be popular for posting One Direction thing," she told me. "Now I really want my Tumblr intentions to be about how I think Jahar is innocent and ever since I have gained many followers who feel the same which is awesome."